Did you know that advertising is rated as the most popular mode of revenue generation for mobile applications? This means that in order to stay profitable, mobile marketing agencies need to measure the status and performance of their advertising campaigns. If you are a mobile company, a big part of the this puzzle means knowing which mobile attribution methodologies to employ in order to maximize advertising campaign returns. What is it, why does it matter? When you make an app, you want to market your product to get its name out there via marketing promotion. 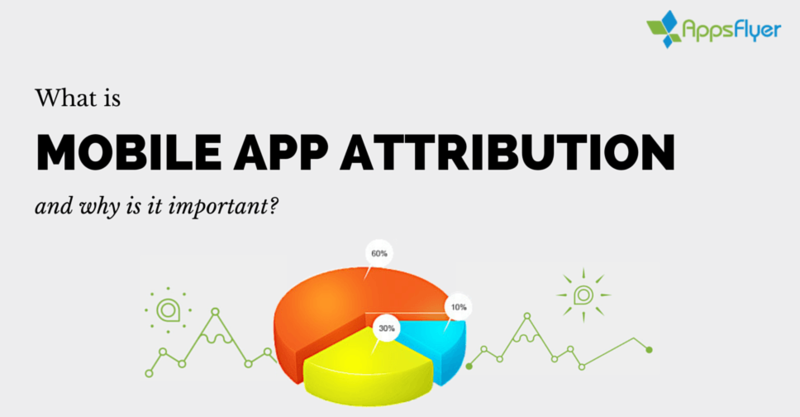 This is where mobile app attribution comes into play. Mobile app attribution is the process of tracking where users navigate to find your application, along with in-app activities. A major aspect of attribution is to verify if your advertisements are actually being viewed, and if so, if users are engaging them. For a while, mobile platforms have fallen behind the pace of online advertising platforms; which already rely on cookies to monitor user migration and patterns. While this works for online platforms, mobile app infrastructure doesn’t support this functionality, making attribution a difficulty. The underlying issue is that there is not a formal pre-existing measurement or tracking methodology used as a benchmark standard. Left without a primary foundation to tracking, mobile marketing is a developing front with room for innovation. To start in the right direction, companies need to have a reliable cross attribution channel system in place for all mobile software and hardware platforms. If you are trying to advertise and attribute your iOS application across different networks, it would be nice if you could simply use the App Store’s URL. However, this strategy is out of bounds since this type of URL does not support user click attribution. When a user taps into an app store network, its like entering a black box, information exchange goes silent; there is no way to know the source of an app download or which campaign is responsible for it. Mobile app attribution is important for marketing teams to fine tune different campaign strategies. You need informative performance feedback which can be identified in user traffic. Without access to this information, marketers are left in a guessing game, increasing investment risk when deciding where to direct resources. In order to adapt to survive, mobile brands need to adopt attribution methodology Identifiers for advertisers. New identifier strategies provide solutions for revenue generation via user controllable identifiers. These identifiers empower mobile businesses with the capacity to track all traffic events tied to a single user across all networks. Unique identifier matching is an automated system that matches the difference between a users click to download and click to further navigate. New integrated tracking platforms can now do their job and properly track all advertising streams, pre and post conversions. This allows for heightened insight into advertising spend, such as advertising ROI and user lifetime value (LTV). Another helpful tracking method is known as device fingerprinting. This tactic uses publicly available information on a mobile device to redirect a user from an ad click to an app install. Device fingerprinting works by using a measurement URL, which gathers information about the device and creates a digital fingerprint. When a customer installs an app, the tracking server attributes this install link to a matching fingerprint on the last click it made. With newfound attribution methods for mobile devices, mobile businesses can keep up to speed with advertising campaign performance. Marketers and advertisers now have the ability to know where their dollars go, and how to best invest in order to grow and stay competitive. If you want to learn more about mobile app attribution you can contact us or leave a comment below. Managing a complicated relationship with mobile. (Too) early adopter. Loves being an entrepreneur, but hates the word entrepreneur. Now VP of Marketing at AppsFlyer - the leading mobile attribution & marketing analytics platform. Before joining AppsFlyer, Ran co-founded Scringo, empowering native apps with social & communication capabilities, and worked in various marketing & business development roles, helping startups grow.